If you look at Dungeons and Dragons, you can see several major influences. If you go all the way back to the beginning, though, it’s clear that one influence stood above all others – J.R.R. Tolkien’s Lord of the Rings. Tolkien’s estate was able to see that as well, which led to a few lawsuits and some revisions that led D&D to become the game it is today. That wasn’t the end of the story for Lord of the Rings and role-playing, though. 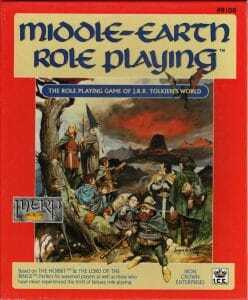 The 1980s tabletop role-playing boom saw an official, licensed adaptation of Tolkien’s work in the form of the Middle-earth Role Playing game (MERP). This game was one of the earliest licensed RPGs and one of the first true contenders for the roleplaying crown. Taking a look at the game itself means looking not only at how it worked, but also its history and its impact. Middle-earth Role Playing first came onto the scene in 1984 as the first officially licensed game in Tolkien’s Middle-earth universe. It was only natural that there would be a licensed game – after all, the Tolkien estate’s relationship with Dungeons and Dragons had been litigious. Protecting the copyrights and trademarks of the world meant either wading into the legal system on a frequent basis or giving players the chance to play in the universe with their own official game. The studio who received the license was Ice Crown Enterprises, who would hold the license for the game until 1999. During their fifteen years of stewardship, ICE would publish multiple editions of the game as well as several supplements. The game was published in multiple languages and became something of a hit during the heyday of tabletop roleplaying games. It may not have ever overtaken D&D as the industry leader, but MERP was the second-best selling title on the market during this time period. This put it not only in rarified air for the time, but it also helped to prove that there was room in the market for more than one major more player in the role-playing universe. It’s important to note that Middle-earth Role Playing was only one of two titles published under the Tolkien license. A second game, called Lord of the Rings Adventure Game would feature a similar setting but would use far simpler rules. The second game didn’t have the same kind of success as the first, but it did help to further boost the Middle-earth brand in the era before the movies were made. For a time, these games were the only real expansions of Tolkien’s world and the only way to interact with the fiction other than through the novels themselves. Middle-earth Role Playing was based on the system of the Rolemaster Role-Playing Game. Rolemaster could be thought of as an early forerunner to the d10 systems used by some games today, albeit in a manner that’s far more complex. The game was one that involved numbers for most of the heavy lifting, though character role was important as well. It’s probably best to look at the system for MERP as one that was experimental and a product of its time. There hadn’t yet been decades of publishing to determine what really worked in these games. One of the major features of the system was how attributes were set up. Every attribute was on a 1-100 scale, which would then be factored into attack rolls. Attack rolls would consist of this score, plus the number rolled, plus a skill rating, less the target’s dodge rating. All of this would be calculated and then checked against a chart based on the opponent’s armor. It definitely wasn’t an easy system compared to most of what was published at the time and it drew a significant amount of criticism for those who claimed that the system slowed down the game. As you might expect, the system was divisive. Some people loved the level of complexity as it made every action feel a bit more important and a bit more realistic. Others felt that the reliance on math and charts bogged down the game and represented some of the worst aspects of role-playing. While there’s certainly not much middle ground between the two sides, the former party would continue to follow the game well past its demise. The system definitely made Middle-earth Role Playing into a game that wasn’t for everyone, even if some of those left out were huge fans of the setting. Middle-earth Role Playing has one of the richest settings for a tabletop game almost by default. After all, it was a licensed role-playing game in the Lord of the Rings universe and thus had access to everything in Tolkien’s body of work. 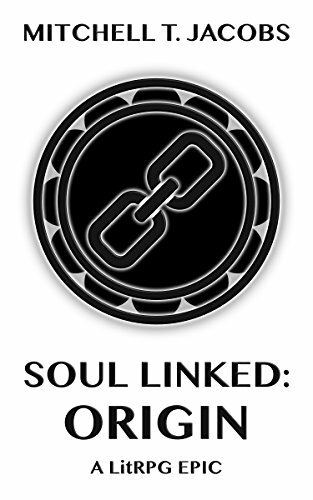 Having this expansive lore to tap into both provided GMs with plenty of material for innovation as well as structure for their games. It’s hard to overstate how much of the game’s appeal was centered around the fact that the game took place on Middle-earth instead of some other generic fantasy setting. Of course, the game’s setting wasn’t quite the Middle-earth that most readers knew. Because The Lord of the Rings offered a very definitive end to that world and its appendices helped to define what would happen over the next several generations, MERP functioned as something of a distant prequel for the books themselves. Taking place 1400 years before the events of the War of the Ring, it featured a setting with plenty of familiar elements but none of the familiar characters. Some of the ruins from the books were in their prime during this period, while familiar areas like The Shire were only beginning to be settled. This new time setting allowed GMs a great deal of freedom to run campaigns without contradicting the canon of the setting. It would be easy enough to have characters interact with famous areas or items knowing that their actions could be forgotten over the course of centuries. 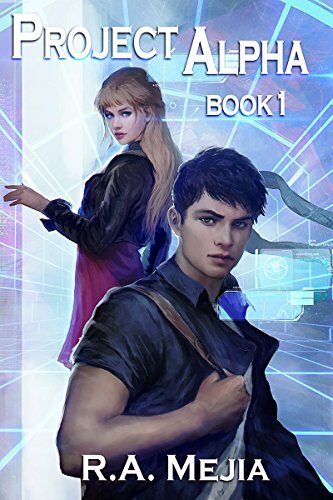 The only real problem with the setting was the sense that nothing the player characters could do would matter in the long run – the story was already over and everyone knew how it ended. For those in favor of short-term campaigns, though, the setting would prove more than robust enough for gaming. The player characters of Middle-earth Role Playing bore at least a passing resemblance to the parties seen in both The Hobbit and The Lord of the Rings. They were also clearly influenced by the party role mechanics of Dungeons and Dragons, something which was perhaps a bit recursive – after all, D&D drew heavily from Tolkien as well. What this left the game with was the possibility to create incredibly unique player characters who could still embody many of the roles that had been seen in Tolkien’s writing. In fact, it was quite possible to create characters who were the next best thing to the characters from Tolkien’s universe. There were six basic classes for the game. All of them were clear analogs for character classes in Dungeons and Dragons. Rangers, Bards, Fighters, and Mages all shared the same names and general roles with D&D. Animists would fulfill the role of Clerics, while Scouts would take over much of the work of Rogues. Some of the naming conventions were a bit on the odd side, as most games based on Middle-earth would instead embrace more Tolkien-friendly names like “burglar” to describe the jobs of their characters. The way the characters worked did cause at least a bit of controversy. The game had a very robust magic system, which made mage characters incredibly strong later in the game. While this is typical in role-playing settings, it did run counter to how Tolkien described magic in his books. The characters were also capable of some astounding feats of violence in the game, something that did feel a bit off for the setting. Still, the players who embraced the game loved the fact that it gave them a chance to create and live out the lives of players in one of their favorite settings. The differences between the novels and the game could simply be chalked up to giving players more freedom for their imaginations. All games are ultimately judged by the impact they leave on the community. While there are certainly dozens of great games out there, not all of them have managed to catch the critical or commercial eye. Given that Middle-earth Role Playing did manage to stick around for over a decade, it’s important to stop and figure how it impacted the world of gaming. The best way to do that is through a quick look at both the reception of the game by players and critics as well as a look at the legacy it has left on gaming in general. Some of the critics of the game absolutely loved it. Those who were the fondest of the game tended to be major Tolkien fans who praised the game as keeping to the spirit of the novels. While there were nitpicks about things like magic in the game, most of these critics considered Middle-earth Role Playing to be a fine addition to the growing catalog of roleplaying games out there. As one of the first real licensed roleplaying products, ti set a fairly high standard for the game that would come. Other critics weren’t quite so kind to the game. They considered the game overly complex for the average player and virtually unplayable for those who weren’t already familiar with roleplaying game systems. While this might not seem like much of a problem, you have to consider the era in which this game was published – D&D was really just coming into its own, so the odds of a player having actually played anything else were fairly low. Setting the bar for entry so high was definitely a problem for this game. MERP has a fairly strong fan base even to this day. Even though the game has been out of publication for nearly twenty years, there are still fan updates and even a major convention. 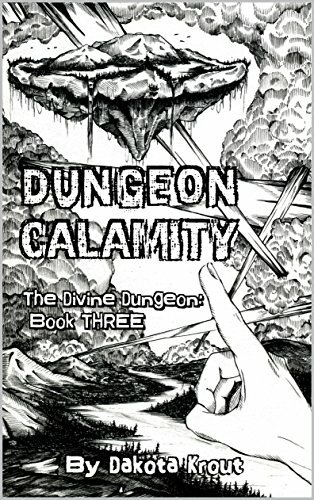 It is one of the few roleplaying games that has seen real international success as well, with its editions being published in multiple languages throughout the world. While the fanbase is small compared to those of the major players in the gaming world, its tenacity helps to keep the game alive during an era when older games tend to fall by the wayside. The Legacy of Middle Earth Role Playing is rather difficult to suss out. On one hand, the game was clearly successful – there are still conventions honoring the game to this day. On the other, it’s not a game that ever gained the same kind of traction as the big names in the genre. Being so closely tied to an official work was largely the reason for the game’s success, but it likely hurt the game’s ability to grow in the long run. How do you judge a game that hasn’t been published for nearly two decades? If you judge it by the people who love it, you can easily say that this game continues to impact the world of gaming today. If you judge it solely by the place it occupies in gaming culture, though, it’s hard to say that it leaves much behind. It’s more than a curiosity, of course, but it is definitely something for which the average gamer will have to search if they want to play. In the end, it’s perhaps best to look at the stage MERP set for other licensed roleplaying games. Using a game as a method of picking up more market share and extending the fanbase of a written universe is now par for the course, but it wasn’t at the time this game was made. In that way, at least, MERP leaves behind a strong legacy. Next time you play a licensed roleplaying game, take a moment to consider the space from which the genre initially grew. If you look hard enough, you’ll eventually see MERP at roots of your favorite game.